In advanced Revita.EPS®, the proprietary peptide complex, which is made of bioavailable lipo-oligopeptides, stimulates keratin genes to help boost growth of natural eyelashes, with clearly visible effects in just four weeks at the recommended dosage level and frequency. 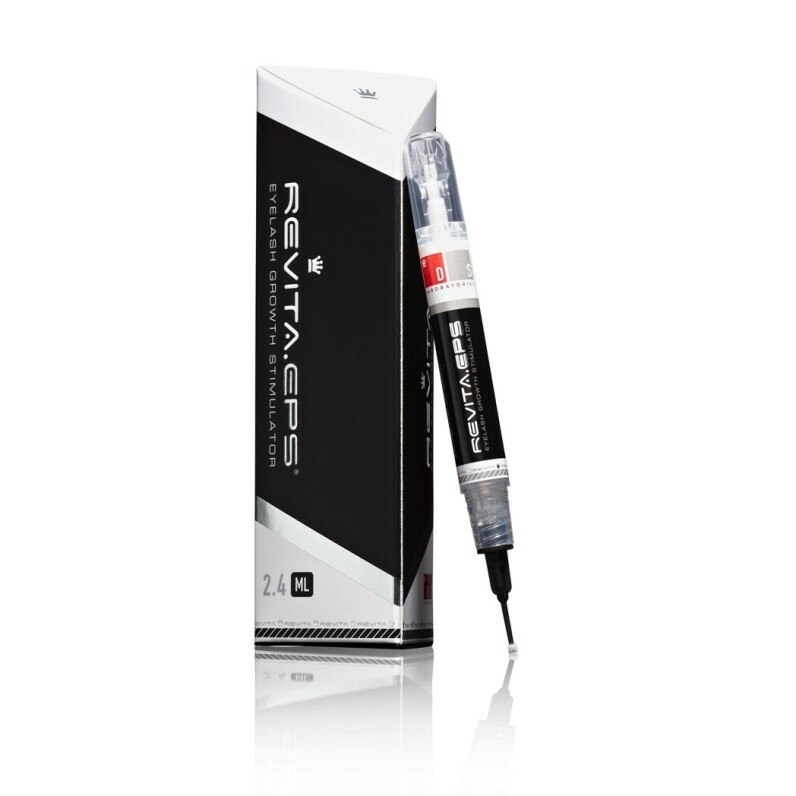 Revita.EPS, a proprietary peptide complex, is indicated to treat hypotrichosis (deficiency of hair) at the eyelashes by lengthening and thickening these specialized fibers. The deficiency to be corrected can be induced by genetics or exogenous factors such as chemotherapy. Revita.EPS is contraindicated in patients with a hypersensitivity to peptides or any other ingredient in the product. There is a potential for hair growth to occur in areas where Revita.EPS comes in repeated contact with skin surfaces. The product should be used cautiously by patients with active intraocular inflammation. For best results, apply Revita.EPS® twice daily, morning and evening. Start by ensuring that the face is clean and makeup is removed. Click the button to dispense the solution. Draw the applicator carefully across the skin of the upper eyelid as if applying eyeliner. Repeat for the lower eyelid. If solution gets into the eye, it is not expected to cause harm. The eye should not be rinsed. For optimal hygiene and to limit any chance of eye infection, do not share your Revita.EPS pen with others. Take great care when applying to avoid eye injury. Proper application requires that you bring the tip close to the eye, and the product needs to be applied with a steady hand. Do not use this product if you cannot apply it safely. I am on my second tube now, and I love the results! I must say, that one tube will last you about 5-6 months (if you apply morning and evening). My lashes are significantly longer now, and I can really see them now! Before this treatment I had sparse and short lashes, they were barely there even with the mascara on. And now, when I use mascara, I love the result! "I am on my second tube now, and I love the results! I must say, that one tube will last you about 5-6 months (if..."